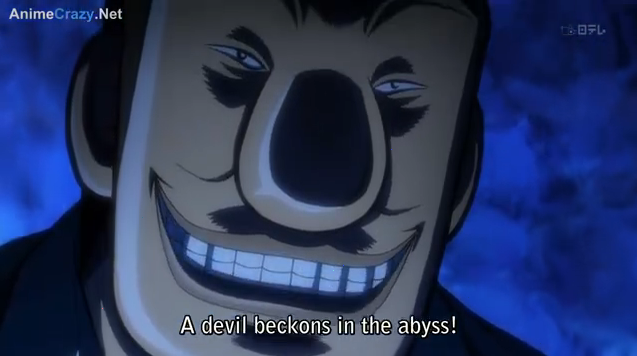 Kaiji's back, and he meets some very nice people. Kaiji season 2 (Gyakkyō Burai Kaiji: Hakairoku-hen) has premiered. For those new to the world of Itou Kaiji, you might want to take a look at my review of the first season. My reactions to the first episode of the new season are recorded below. Warning: this is a story of human depravity, so some screen shots might be offensive. In short, the second season looks to be just as great as the first. Itou Kaiji finds his life of sloth and indulgence interrupted. This episode picked Kaiji up as he is thrust into another inhumane setting. The loan sharks to whom he owes almost ten million yen send him to an underground work camp. Beyond the hard work, and low wages, the captives are under constant surveillance, in a prison environment. When payday finally comes, Kaiji resolves to save up to by a ticket for a pass to the surface — his only chance for an escape. Meagre portions are all part of an elaborate plan to keep him here forever. After deducting his loan repayment, and room and board, Kaiji is left with only 350 yen (<$5) per day to save for the magic ticket. Unfortunately, the big dream of a golden future, far from his current worries needs to fight his immediate urges. The inmates are allowed to buy various items at outrageous prices to make their time a little more comfortable. 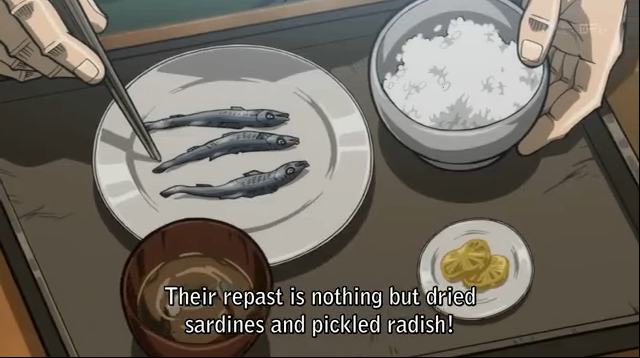 Thus Kaiji starts to rationalize. First he considers that he will save up more than enough, so he has “extra”. Then he considers that he can just extend his target date for saving up for the ticket. 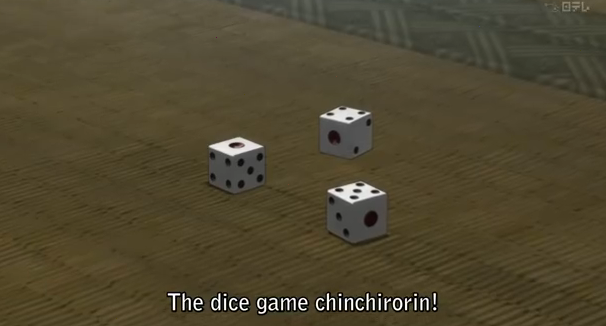 And this gets us to the key feature of Kaiji. Get ready for some gambling! Our hero, Kaiji, is perpetually locked in a psychological battle. First, he keeps gambling, and thus is engaged in a battle of wits with his opponents. But he also is always aware that beyond his opponents, he really is battling against “the House”, that is, against those who have control over his surroundings, and consider themselves above the fortunes of individual gamblers. We can call this second battle the battle against the system. To his credit, Kaiji is aware of this vicious second, hidden warfare, even if he can do little at times, but curse and cry about it. But Kaiji is also engaged in a third psychological battle, unfortunately, this one he is ill-prepared to fight. Beyond his opponents, beyond the system, Kaiji must ultimately battle his own mis-conceptions, his own weaknesses. Perhaps ironically, the adversary he is least capable of outwitting is himself. 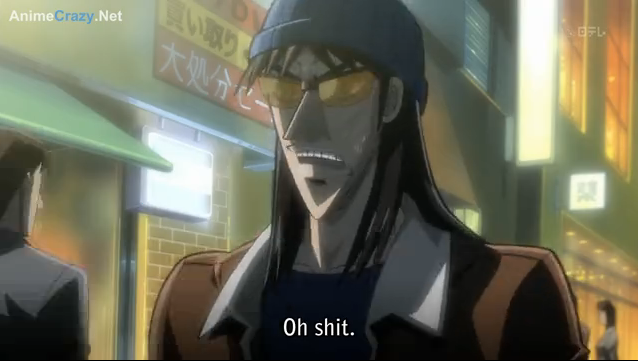 I look forward to seeing Kaiji get into even worse trouble next week!